When the economy started sinking six years ago, it almost took South Hill’s Community Memorial Healthcenter down with it. Burnette says the hospital’s board started looking for a partner, which it found after a two-year search. In July, it joined the Richmond-based Virginia Commonwealth University Health System, which pledged to contribute at least $75 million toward improving health-care services and technology, including plans for construction of a new hospital. “It’s just getting harder for individual, especially rural, hospitals to survive on their own,” says Burnette, whose facility is now called VCU Community Memorial Hospital. There has been a string of similar moves in Virginia in recent years, and there’s good reason to think the consolidation will continue. Faced with rising costs and lower reimbursements, health-care groups are jockeying for a financial advantage by spreading their costs and expanding their footprint. In 2010 Norfolk-based Sentara Healthcare took over hospitals in Charlottesville, Harrisonburg and Prince William County. Last year it acquired Halifax Regional Health System in South Boston. So far this year hospitals in Culpeper, Bedford and on the Northern Neck have become affiliated with larger hospital groups, along with the merger of Community Memorial with VCU Health System. The General Assembly’s decision not to expand Medicaid under the Affordable Care Act is a factor. But the trend toward consolidation didn’t start with the ACA, says Ken Krakaur, a senior vice president with Sentara. “This was going on in 2008 and 2009, long before we knew what the ACA was going to look like,” he says. Independent hospitals won’t go out of business, Krakaur says, “but most that have not sought an affiliation yet will probably be doing so … We won’t find too many single, tax-exempt hospitals in the future. There are very few now.” In fact, he anticipates the next phase will involve smaller health systems joining larger ones. For Virginia, that would ultimately mean four or five major nonprofit players, as well as the for-profit entities such as Tennessee-based HCA. By the metrics that others in the industry are describing, Mary Washington Healthcare in the Fredericksburg region is a good candidate for consolidation. In September this two-hospital nonprofit system laid off 66 people as part of a $30 million spending cut. In a letter to employees, MWHC CEO and President Fred Rankin blamed the layoffs on “significant cuts to what we are paid to care for patients.” MWH lost $20 million in 2012 and $8 million last year. While facing these financial issues, the health-care group is in the midst of a significant leadership change. 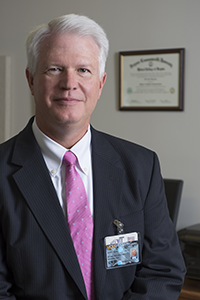 Rankin is retiring and Dr. Michael McDermott, a local radiologist, will take over in January. The benefits can flow both ways. Sentara learned from the patient-satisfaction success that Martha Jefferson Hospital in Charlottesville had achieved, Perry says. And a bigger health-care group has more to offer to employees and can retain its brain power. “Young professionals coming through have more options,” she says. Burnette says many of the corporate suitors who wanted his hospital, such as Duke Lifepoint, saw advantages in expanding their reach. Otherwise, why would they want a struggling hospital? “Some of the systems we looked at have their own health insurance products … if you have a group coverage to offer, when you’re negotiating with [larger insurance firms] if you have a larger service area that you cover, it makes it easier to negotiate,” he says. Doug Gray, executive director of the Virginia Association of Health Plans, agrees. In general, larger entities appear to be a trend that continues in health care. “Many argue that larger entities are the approach necessary to treat more patients at a lower cost under the ACA,” he says. Burnette says his hospital in South Hill still has enough local control to satisfy the community. If the state approves its expansion plans, a new hospital could break ground next summer and open in three years. And, if all goes as planned, the new facility will include a new 70-bed hospital and a 120-bed nursing home, he says. VCU Health System is also seeking permission for a cardiac catheter unit and OB/GYN care, he says. Even the process of planning those services lets the hospital start recruiting cardiologists and other specialists. “So it’s an attractive package,” Burnette says.